Extend the reach of your AC powered device using this AC power extension cord. 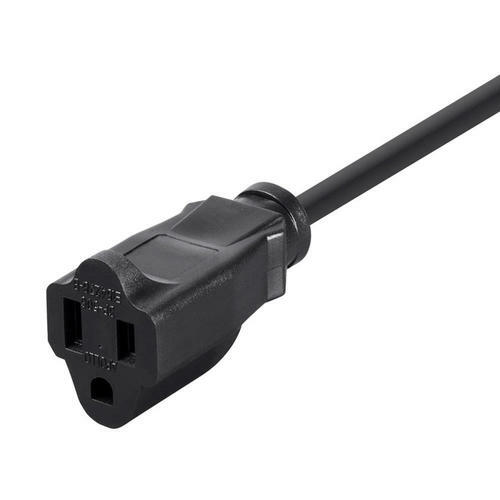 This cable features a standard; grounded NEMA 5-15P plug on one end and a NEMA 5-15R receptacle on the other. Simply plug your device into the receptacle; then plug the other end of the cord into an AC power outlet.